Born and brought up in Hyderabad, Kranthi Kumar hails from a lower middle-class family. In the neighborhood he grew up, an academic bent of mind led a person to lead a decent middle-class livelihood, instead of ending up in rags. The youngest of three siblings, Kranthi was always encouraged to pursue his dreams. Kranthi Kumar is a Computer Science engineer from IIT Delhi (2011 batch). 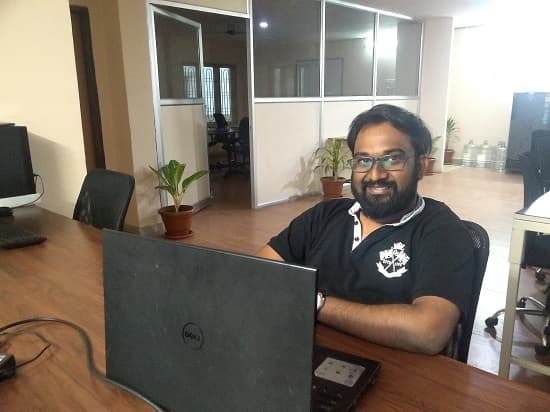 After graduation, he started working as a Java Developer with LoudCloud Systems Inc. and went on to become a Business Development Manager for Sneha MACS. 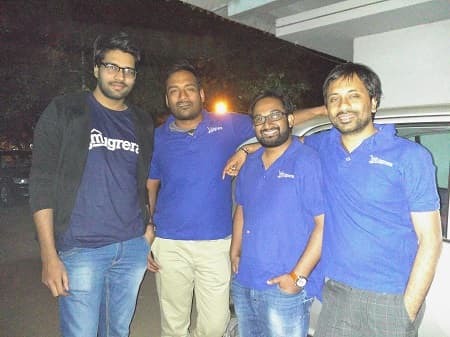 In January 2014, Kranthi Kumar and his 3 friends set up Migrera.com - an online platform that lets you find best quotes from reliable packers and movers in India. Customers can choose from their trusted network of packers and movers, view their ratings, prices and have a single point of contact through the whole process. CE: How were your IIT Delhi days back then? Kranthi Kumar: IIT offered me a roller coaster ride. I've had a share of good and bad experiences. The transition from a kid who was mostly oblivious of the surroundings to adulthood was fruitful and I feel I have been with the best intriguing minds. I've always loved to interact with people. Meeting people from different regions and ideologies was a great experience. And at a very young age in my life, I have got the opportunity of meeting people from different backgrounds and lived under the same roof for 5 years. LAN exposed me to foreign films. Not just Hollywood, but Italian, Korean, Japanese etc which mutated me like I have never imagined. Poker has been my favorite which I play even now whenever time permits me. CE: Tell us more about LoudCloud Systems and Sneha MACS. Kranthi Kumar: After graduation, I got placed in Loudcloud Systems in Mumbai as Java Developer. It was a product company building Learning Management System. I was part of a team which developed Recommended systems. Spent a year there and resigned, as the entrepreneurial craving in me started to fog my mind. Loved Mumbai though. The place is like none other place I have visited before. Joined, SNEHA MACS as Business Development Manager as I was given a bigger role. I've always wanted to do try and do more rather than being a coder. So when I got the opportunity to join SNEHA MACS (less salary than my previous one) with some encouragement from my brother, I took the job. I had the opportunity to manage 20 odd branches and build new business frontiers for SNEHA. I was comfortably doing the role given to me at the same time dedicating time to develop business logic to the idea brimming in my mind since my stay in Mumbai. After brainstorming a lot MIGRERA began to take a form. It was "now or never for us" at that point in time. I discussed the idea with my family and with their encouragement, I decided to quit the job and pursue my dreams. CE: When did you start thinking about becoming an entrepreneur? Kranthi Kumar: It was during my BTech final year. Abhishek, one of the co-founders and my childhood friend got a job and had to move to Delhi. He used to visit IIT campus regularly. Startups used to be a part of our discussions and I remember how analyzing the technology and differentiating traits in a company became an obsession. The discussions continued even after I graduated and moved to Mumbai to join my first job. We realized we would start something but didn’t have any concrete idea. We just thought that the product we conceive should be equipped with the latest technology and should ease the mind of the consumer/customer. CE: Who are other people behind Migrera. Tell us more about other co-founders. How did you all come up with the idea? Kranthi Kumar: Personal experiences - In 2014, I had to relocate from Mumbai to Hyderabad to pursue a new opportunity in Sneha. It was my first time, I preferred to choose a reputed relocation company for my shifting and the experience turned to be pathetic. It was broken right from choosing the vendors to payments and delivery. I had no clue of the things that could happen, was stranded by the company to deliver the goods and they had a hopeless customer support. Similar time, Abhishek one of my childhood friends(Co-founder) had to move from Noida to Delhi had a similar experience, he just took 2 days to finalize the vendor after talking and negotiating with a swarm of packers and movers. At the end he had to pay more than what he negotiated, deal with the tantrum of the labor and finally left with the broken stuff( his priceless mementos). These chronic experiences united Abhishek and me together to work on this idea. 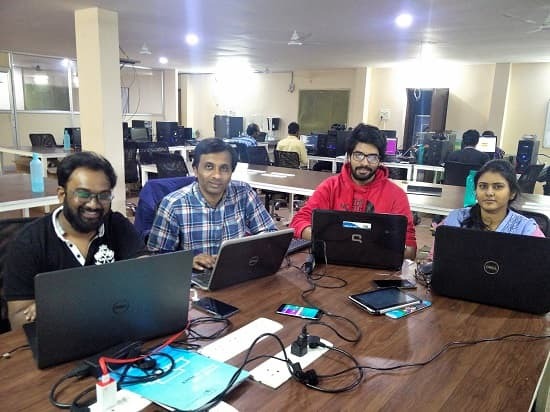 While validating this idea and market research couple of our childhood friends Pradeep, who leads UI/UX and Sandeep, who builds CRM and looks after the vendor management joined us on oumission - That's how Migrera was born. CE: How would you define Migrera? What is the story of your startup? Kranthi Kumar: Migrera is more than a just booking engine and marketplace platform for packers and movers. With our technology, ‘Move Marshalls’, ‘Migrera Shield’ we bring transparency, trust, safety, support like no other marketplace in relocations. Like many entrepreneurs we had to cross a lot of hurdles to take our idea live. Initial days were rough, first blow came when our first freelance designer ripped us off money and time without the designs. We were quickly out of the trauma and hired another freelancer from Hyderabad, he stopped responding to us after a couple of page designs, which left us to where we have started. And the second was onboarding vendors onto the platform. We thought it would be easy for us to on-board vendors but we had to evaluate more than 400 packers and movers in Hyderabad to find out the packers and movers to match up our standards. This part of the journey was exhaustive, we used to travel 40-50 km on an average to figure out the vendor's address and at the end, we used to find out most of the address are fake. Even if we found one, its was extremely tough to convince vendors to join Migrera because of the crevasse left by JustDial and other similar platforms in the market . It took us 3 months to on-board 6 vendors. Our Initial plan to launch in 6 months pushed to 11 months. With the delay costing us twice the budget we planned, we decided to keep lean and had to work for 15-16 hours a day, juggling between operations, marketing, monitoring the house movements and building the systems. Since our full launch in May 2015 to till now, we made 2000+ house shifting and 500+ items shifting with tremendous NPS score > 92%. Migrera is poised to grow most trusted platform for the relocation services. The strange part is now at least couple of vendors in a month approach us to join Migrera. CE: How did you distinguish yourself from your competitors? Kranthi Kumar: We are the only platform in India to assure guaranteed price, On-Time service and Damage Cover up to 50k at the price. The best part is — customers never need to contact the vendor. Unlike other platforms, we don’t leave the customers after the quotes. Our technology and team take care right from move day orchestration, packing standards, tracking, pre and post customer support. CE: Tell us how Migrera systems work. Kranthi Kumar: We are complete cloud-based web app built up on Ruby on Rails. Our CRMs are completely build in house and our analytics are powered by Microsoft Azure Machine Learning and Power BI. For the users, all they have to do is fill up few details about their households and shifting details and get ready to compare and book. Under the covers - Migo, our intelligent bot will analysis 16 data points right from to volume, Location to demand and pick the best 3 to 4 vendors out of many based on service level they offer and provide the customers to choose the right one for them within 30 minutes. Our simple to use vendor CRM helps vendors to stay organize, plan their movements for efficiency and bring transparency throughout the system. Our systems are designed to deliver the best relocation experience in a couple of clicks. Kranthi Kumar: Migrera is bootstrapped. We have pooled funds from our savings, family, and friends. CE: Which was more rewarding: making startup a success or being able to continue keeping it successful? Kranthi Kumar: I believe keeping it successful, we have seen many startups been a success and faded off in few years. It’s always challenging to keep the startup successful in these highly competitive environments but that's how the market is and we need to be ready for it. Kranthi Kumar: Thanks CrazyEngineers for building this community and starting Founder Circuit series. A lot of valuable insights on founder's journey and different products they are working on.